Mexico is inarguably home to North America’s best unspoiled beaches (sorry, Redneck Riviera -- it's true). But because many of these strips of tropical paradise are worthy of your screensaver, they haven't stayed magical for long. Perfect beaches equal swarming crowds. MTV killed Cancun in the '90s, hipsters currently riddle Tulum, and Sayulita is now a hot cruise ship port of call. So, where exactly can you get your tan on in Mexico without having to deal with chain restaurants and American spring breakers? 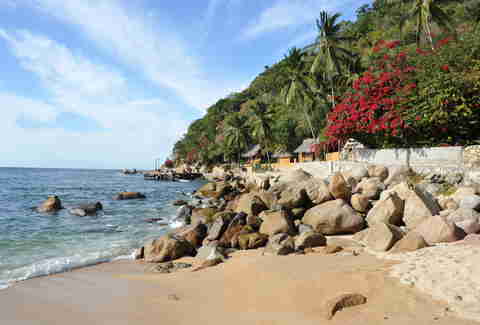 If you haven't heard of this tiny beach haven in Puerto Vallarta’s Bahia de Banderas, that's a good thing. It has gone decades without the infiltration of obstructive high-rises or a mass influx of tourists. Some say it's Mexico’s last authentic beach town, and we'd agree. So much so that we put together these eight reasons why it's absolutely the country's top undiscovered stretch of sand. 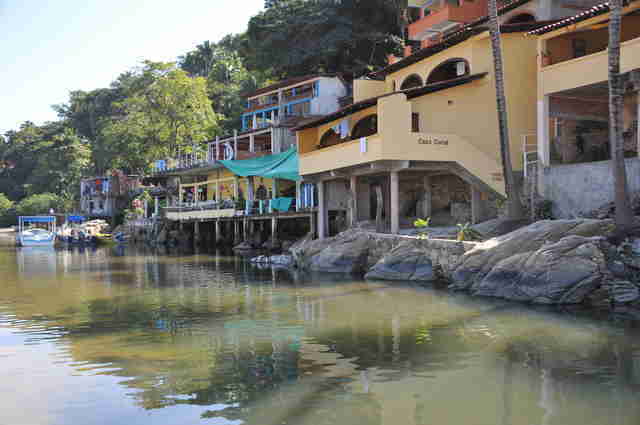 Twenty miles south of Puerto Vallarta, Yelapa is so off the radar you can only arrive by boat. Most travelers hire a private charter from Boca de Tomatlan or take a water taxi from Los Muertos Beach, and they often stop en route at Majahuitas, a popular snorkeling spot. 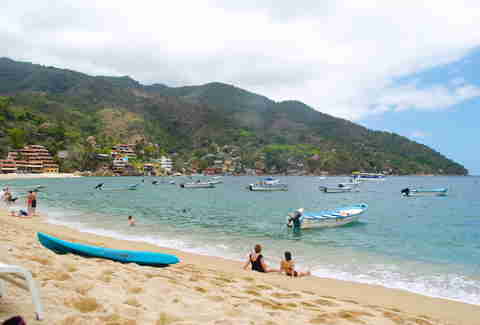 And when visitors do finally arrive in Yelapa, the boat pulls right up onto the beach. Who needs a dock? The only businesses in town are locally run and include about a dozen beach bars/restaurants and a handful of small hotels. 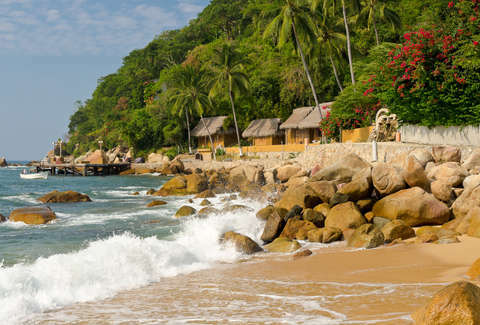 Unlike other "undiscovered" beach towns, which may have an OXXO gas station or Subway, Yelapa still feels "pre-tourism boom" retro, without any souvenir shops, to boot. Did somebody say beach pies? 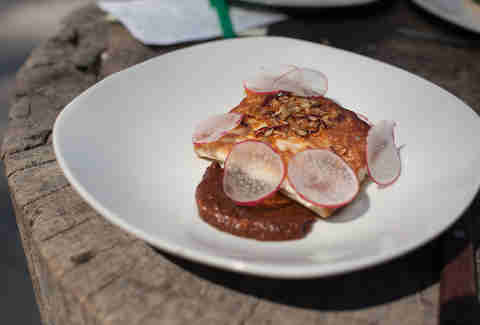 What really put Yelapa on the map for locals is not tacos or chimachingas or even Mayan ceremonies -- but pies. Yes, fresh-baked pies. 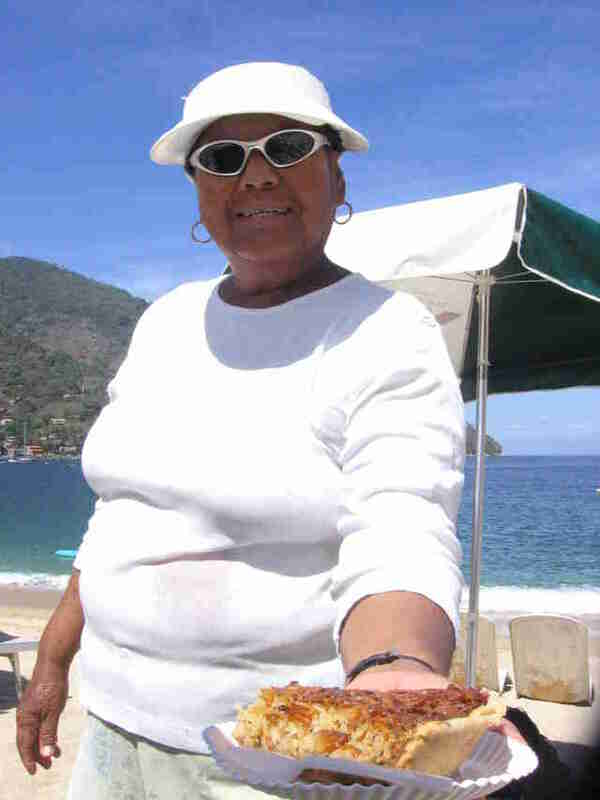 Two local bakers strut up and down the beach daily selling a variety of flavors, from coconut to cheesecake. They are like the ice cream trucks of Yelapa, and visitors can score a slice for a mere $2. It's a town of villagers who make their money foraging and fishing. All the seafood you eat there is caught fresh from local waters, and sold well below typical resort prices. You may not know that raicilla, a type of once-bootlegged mezcal, is all the rage in Mexico. Recently re-discovered (it’s been around pre-Spanish days), raicilla is reportedly twice as strong as mezcal or tequila and known to cause mild hallucinations (consider yourself warned). It’s not easy to find in Puerto Vallarta, but it pours freely in Yelapa. Salud! Sure, beach bums who have been coming to Yelapa for decades argue that there are now more tourists than ever, but that's not saying much. 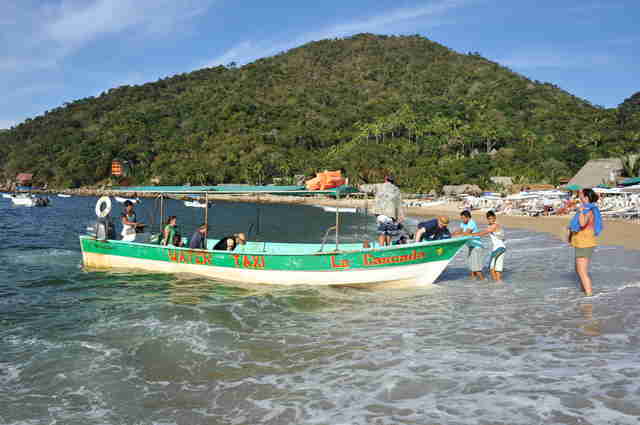 And while some booze cruises often drop their passengers off for a few hours, Yelapa remains decidedly not overrun. The beach is long and wide, visitors sprawl out, and it's still far enough off the beaten path that there aren't any high-end restaurants for Anthony Bourdain to deem the best in Mexico. At least not yet. The crescent-shaped stretch of sand straddles jungle and ocean and is lined with lounge chairs, a few umbrellas, and nothing else. Just steps inland are a handful of thatched-roof, al-fresco bars and some swaying hammocks under the palm trees. From anywhere you kick your feet up with Pacifico in hand, you hear the crashing waves and little else. OK, regardless of whether this is a selling point or not, it’s true. Bob Dylan, Dennis Hopper, and even dudes like Roland Emmerich (who directed Independence Day) have all escaped the crowds on this undiscovered beach at one point. Jimmy Im has traveled to 115 countries in 10 years. He writes about it. Sometimes. Instagram: jimmyim, Twitter: dieselmad.